Guillermo W. Giarratana is an Associate Research Fellow at IRIS, specializing in geopolitics of Latin America, with particular emphasis on Non-State actors, governments and regional Latin American institutions. Another domain of his research focuses on « humanitarian action ». He is currently working on « humanitarian negotiation » and the development of an analysis unit on humanitarian action (UA-AH) for MSF Lat (MSF Latin America). He is, moreover, member of the MSF Lat Board. Guillermo W. Giarratana has worked with Médecins Sans Frontières for over 14 years, mainly in East Africa and Latin America as well as having been deployed to missions in Middle-East and Asia, for projects of diverse nature (emergencies, urban violence, conflict and health in rural environment). 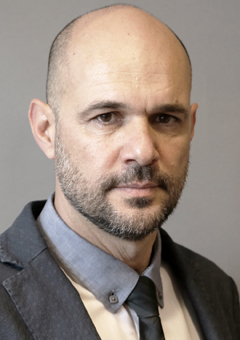 A Graduate of Universidad Nacional del Nordeste (Argentine) in Philosophy, with the specialization « Political Thought », he holds a double master’s degree in « International Relations » from IRIS-Sup and the Institute for European Studies (Institut d’Études Européenes), University Paris 8. His academic background is also enriched by his degree in « Computing System Analysis ».